From May 15-17 Margaret Molloy and WearingIrish will bring Ireland’s most talented designers to New York. 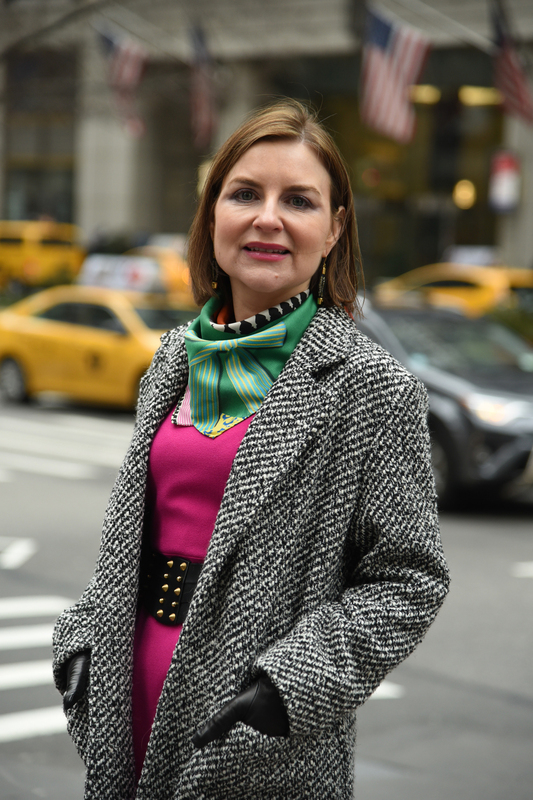 In March 2016, Irish expat and marketing executive Margaret Molloy began the #WearingIrish campaign, where she took her love of fashion and started a social media initiative, encouraging people to wear items from Irish designers during March. Since then it has exploded into a worldwide movement, with people getting involved by posting photos on social media while wearing Irish designers. Two years after what began as a small pilot project for the month of March, WearingIrish is now bringing Ireland’s most talented designers to New York in May for a showcase event at its main sponsor’s venue, the Bank of Ireland startlab in Manhattan. Ireland, the land of a thousand welcomes, is known for its hospitality and tourism sector, but in the increasingly visual world we live in, it’s not just Irish landscapes that are a great way to showcase the country. In an era where everyone is talking about makers, Molloy, a Harvard Business School graduate, believes that leveraging Ireland’s fashion industry through visual platforms is an appropriate way to showcase the creative aspect of Irish people to the world. By highlighting the creativity of Irish people in the fashion industry, it builds awareness and enthusiasm all over the world of Irish artistry and design, which can create a positive economic knock-on effect. On February 9, Molloy was joined by Minister for the Diaspora and International Development Ciarán Cannon and Tony Dunne, Bank of Ireland country manager, to launch the WearingIrish NYC 2018 showcase competition. On Margaret Molloy: Coat: Theo+George. Dress: Niamh O’Neill. Belt: Una Burke. Earrings: Bláithín Ennis Jewellery. Scarf: Susannagh Grogan. Gloves: Paula Rownan. Click to enlarge. Irish designers have been invited to apply for a chance to showcase their work in front of a U.S. audience. Eight of the lucky winners, chosen by a panel of judges, will be flown to New York where “they will spend 48 hours meeting potential customers, networking with guests and forging connections to accelerate growth,” per WearingIrish.com. The successful candidates will be announced during Bank of Ireland’s Saint Patrick’s Day celebrations on March 16 in New York. Molloy has assembled a growing panel of judges and advisors, including current and former influencers from Bloomingdale’s, Victoria’s Secret, Stella & Dot, Theia, Kate Spade, and more. Program sponsors include Tourism Ireland, CIE Tours, the Department of Foreign Affairs and Trade via the Consulate General of Ireland in New York, and Enterprise Ireland, all of which are firm advocates of the benefit of showcasing Irish creativity through fashion and design. The packed two-day program from May 15 to 17 will not only showcase Irish fashion and design, b­ut bring together various groups, their guests, and expert panel speakers for unique and exciting conversations surrounding Irish creativity. For more information about the May 15-17 WearingIrishNYC2018 program, visit wearingirish.com/nyc-2018.